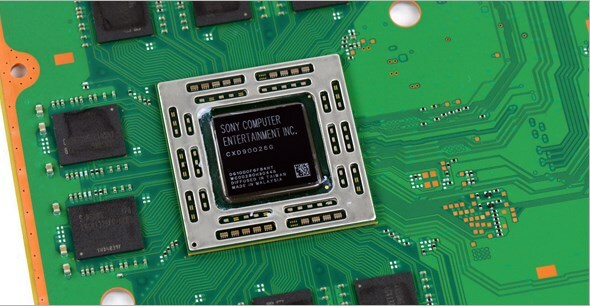 A derivative octa-core Zen+ processor and Navi GPU for the next generation Playstation look increasingly likely. The leaked product code implies that AMD and Sony may have already finalized the core specifications for the PS5 - if not very close. Six months ago, Forbes broke the news that the former chief architect of AMD Radeon Technologies Group Raja Koduri was apparently unhappy with the Vega series because his resources were split between developing Vega and Navi. As a result, Koduri was unable to spend as much time as he would have liked for the Vega family of desktop GPUs. The end result was an underwhelming Vega series that couldn't compete with Nvidia's Pascal generation as AMD head Lisa Su supposedly wanted to focus on Navi development for the Playstation 5 instead. Fast-forward to 2019 and new rumors seemingly back up the original report. PCgamesn.com is quoting an unconfirmed product code of an unnamed custom AMD chip supposedly bound for the Playstation 5. Based on the line of code alone, broad details such as the CPU and GPU can be deduced. The next Playstation could sport eight physical 3.2 GHz Zen+ cores paired with a 1.0 GHz Navi GPU if proven true. More specific details about the chip remain unknown such as the fabrication size, number of simultaneous threads, GPU core configuration, and the overarching power envelope. Even so, these latest findings line up well with very early rumors dating back to Q1 2018 when Sony was supposedly considering an octa-core Zen processor for the next generation Playstation. A processor upgrade would be a huge boon to the console gaming scene as the existing Jaguar cores are abysmally slow for general operation and roughly comparable to the six-year old 2x AMD A4-5100.